The African Women Power (AWP) Network is literally a product of the digital age: It was born from a tweet and now is housed at a WordPress blog. Today, the network is dedicated to providing budding African businesswomen support in the form of an online space to share entrepreneurial stories and business challenges. 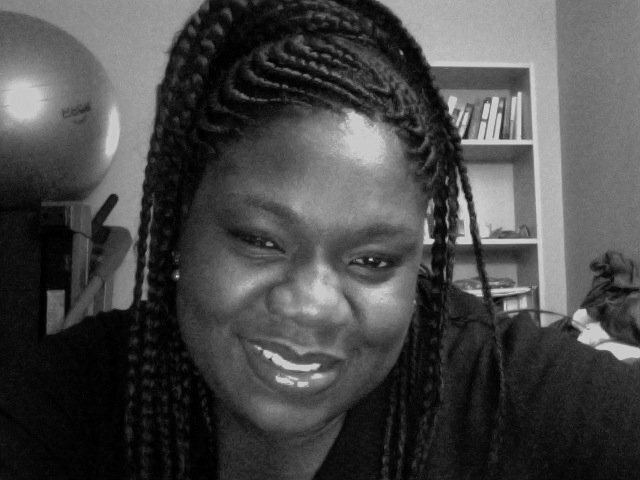 For Olushoga, the prospect of helping entrepreneurs was a no-brainer. After watching her father struggle with his own startup in Nigeria and working in small business services after graduating from college, she noticed a gaping void in support for immigrant entrepreneurs. Unlike in the United States, where financial support for entrepreneurship abounds (GOOD Maker, Kickstarter, and Betaspring are just a few outlets dedicated to helping the underdog succeed), Nigeria has few opportunities for help. To help bridge the gap she launched AWP, which helps prepare aspiring business owners to qualify for the wealth of financial opportunities to bring their dreams to fruition. Maureen Erokwu started her business under the Emmy Chinelo photography brand, but with a current certification from Google as a trusted photographer, she has since rebranded her business and expanded her services. I lost my job in May 2010 and since then, it has been difficult to find work. In this economy, when you lose your job, you are forced to create your own opportunities, which is what I decided to do. I applied for jobs at various companies and became discouraged when I never heard back from them. I understand that it is a competitive market and although many jobs are advertised, the reality is that most companies are not hiring. After making money for other companies all these years, I felt like I could do the same for myself. I know that the journey will not be easy but it will be worth it. How did you come up with this name ? It came as a random thought – I wanted to come up with a name that best describes what I do. We are an online visual solutions company that provides 360 panoramic views for small businesses. Our service allows companies to engage their clients online as well as showcase their brand or store. For now, I am the jack-of-all-trades. I am the creative director and I handle all aspects of my business – It is challenging but not impossible. Five years from now, where do you see your company? We have an expansion plan and I see my business as the leading visual solutions company in New York and New Jersey. What are your plans for hiring? I currently have a marketing assistant and a project manager. One thing that I would love to do is continually reach out and give opportunities to recent graduates. I want to give young people jobs and show them that they can be useful in the job market – contrary to popular and negative opinions regarding us, as inexperienced. 1. Your customer matters. How you treat customers speaks volume about your business. Customer satisfaction is important and if you treat your customers without regard, then no business for you – it is as simple as that. 2. Build a referral system – I have learned to not just establish relationships with key individuals but to also have a referral system that works. 3. Create a strong network. 4. Have a marketing strategy – do your research and know how to market your business. I inspire myself. When I focus and set my mind to something, the results are favorable. I set goals that I can meet and I am my biggest fan. It is also not an issue about who inspires me but what. Giving people a voice inspires me – I want to give people who have no voice a voice. 2. Building my networks – constantly asking myself the question: how do we gain access to key players ? I am self- funded and I used my savings. The business is growing, which is a good thing. Bootstrapping is necessary because banks hardly work with startup companies less than two years old. I also enter business plan competitions. The most recent one that I participated in, was sponsored by Capital One Bank and that has given me some cushion to fund my business. One also cannot undermine support from family members and friends. I am a Google approved and trusted photographer, which is an exclusive contract to photograph businesses based in New York and New Jersey. For those who do not know, Google recently launched a free platform for small businesses to engage with clients by showcasing their stores and brand online. It is a great interactive tool for small businesses. What tips do you have for young people reading this interview? 1. Have a genuine interest in what you are doing. 2. Do not give up on your goals or dreams. 3. Be willing to fail – change the way you think about failure and plan to do better next time. 4. Do not let money be a hindrance to your dreams. 5. Properly represent yourself and your brand. Are there any particular issues that you face as a woman entrepreneur? I see women entrepreneurs as game changers. We produce results. The Nigerian Government on the Right Track! The AWP Network sat down with YouWin! Award Winner, Abdulqadir Hussain Zaguru, Co-Founder and CEO of New Qamar Media Ltd, located in Northwest Nigeria. The Nigeria Ministry of Youth Development documents 68 million jobless youths and in response to the high unemployment rate, the government launched the YouWin! program. For many of my readers who are not aware, the Youth Enterprise With Innovation in Nigeria (YouWiN) program is a collaboration with the Ministry of Finance, the Ministry of Communication Technology, and the Ministry of Youth Development. These ministries launched an annual business plan competition for young entrepreneurs to help with startup capital or expansion. The program is in line with the federal government’s drive to create jobs. 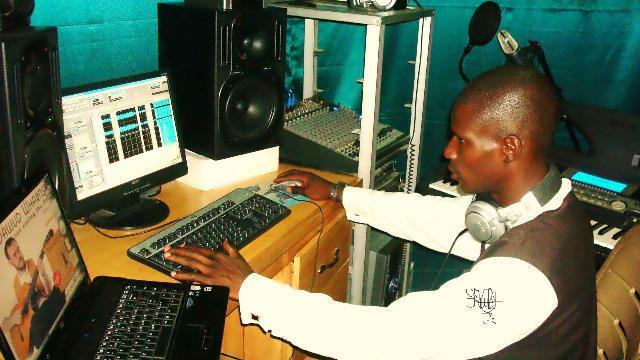 Zaguru has taken a very proactive approach to his future by starting his own business – with the YouWin! grant, he plans to create 10 to 15 new jobs. Zaguru graduated from Ahmadu Bello University with an honors degree in Geology. He will complete his Master’s degree program this year. Zaguru can be described as a jovial, passionate, knowledgeable young entrepreneur with unlimited potential and goals for his business. He describes a hectic day as we sat down for the interview – he is happy to be among the 1200 chosen YouWin! award winners. Winners will receive one to ten million naira in equity contribution. New Qamar Media Ltd. develops and packages media products, which include reality TV shows, short films, and educational programs for youths in Northwest, Nigeria. What are your thoughts on the YouWin program? The entire program was properly executed and I feel like even if I did not become an award winner, the training that I received was worth it. This is the first time that the federal government has come up with such an innovative idea along with a strong implementation plan. The three-day program took place at the Arewa house – a formal center based in the North. 510 other competitors were part of this training and the experience was enlightening. The instructors were well trained and knowledgeable. Day 3 – Instructors told us that success is attainable and that we youths, can achieve anything that we put our minds to. Like I said before, there has been nothing like this from the federal government that has involved youths to this extent. The youths have lost so much faith in the government because for a very long time, the government has refused to cater to them but I believe that things are changing. In fact, many youths still do not believe in the sincerity of the program – they will just have to wait and see what the federal government is up to. What is the one thing you learned at training? I learned that change is possible when you meet with like-minds who have a common goal. In this case, the common goal is to create jobs. This program has created an avenue for entrepreneurial individuals to meet. What role do you play at your company? I am the writer, producer, and director. What key things have you have learned since starting your business? 1. Start small to get big – do the most with the little resources that you have access to. 2. Do not mix business finances with your personal finances – separate the two. 3. Conduct your business with all sincerity and integrity. 4. Do NOT assume what you do not know. 5. Give yourself room to learn from others – even though you are an entrepreneur, you do not know it all. 6. Be very patient – let that quality be part of your character. 7. My business depends on me – therefore it is important that I properly represent my brand and business to clients. The first person that comes to mind is James Cameron. I am fascinated by his work. He is innovative and does not give up just because he has these “crazy” or different ideas, he follows through. I consider Mr. Cameron, my hero. He is an icon to be reckoned with. Another person that inspires me is my mentor: television presenter and MTN Ambassador Abbas Sadiq. Five years from now, where do you see yourself? I hope to expand to different states across Northern Nigeria. I plan to increase our media products and productions. I would also like to create a 15 minutes documentary that wins several international awards. One of the challenges that I face is not having state of the art equipments. It is challenging because technology changes and I need to keep up to provide quality content. Another challenge is market research – taking the time to know and understand the niche and target customers. We have to know what our customers want. Following trends can be risky and expensive but it is something that we have to do to please our customers. As content providers, we have to listen to the customers needs. With the grant, I plan to hire 10 to 15 people – each person will have respective duties and responsibilities. I also plan to provide my employees with access to several leadership and personal development workshops, seminars, and customer service trainings. How did you finance your business prior to this program? I held various part-time consulting jobs. I met him while submitting a project proposal at a non-profit organization. My ability to speak my native language Hausa – I translate our shows into Hausa and English, hence we can attract both English and Hausa speaking audiences to our work. Could you give an example of a project that you recently worked on? I produced and directed an European Union Inside Project on Water and Sanitation under the auspices of the Global Initiative for Women and Children-GIWAC, WRAPA . It was a TV series titled Wash Challenge for Kids – the challenge aired in 2011 on various local television and radio stations. We produced a nine episode series to include sections on songs, drama, and quizzes for children. We asked local schools to participate and asked students from selected schools to write and sing a song in their native language. In Nigeria, it is reported that 103 million of the country’s 140 million population lack access to sanitation facilities and 69 million also lack access to adequate water, the challenge is great. Using media platforms helps to engage a wide audience in learning about public health initiatives. In addition, I developed a TV Series on Polio tagged Tun Ran Gini (Hausa) that featured prominent actors from the North. It was a UNICEF and Kaduna State Ministry of Health Project. What parting words do you have for youths reading this interview? 1. Do not claim to know everything – leave room to listen to others. 2. Save your money towards supporting your goals. Having capital matters – everyone has ideas but without money you cannot execute the idea. 3. Find mentors – they help you move forward and serve as a guide. 4. Your personal development matters – I now realize that I have to focus on my image. I am my brand. Founded on a passionate mission to not just move Nigeria forward but to provide women with an innovative method of providing excellent customer service, Halima Gidado-Mijindadi, Founder and Creative Director of Brides & Babies Inc., sits down with the African Women Power Network to discuss her experience and reasons why she started her business. 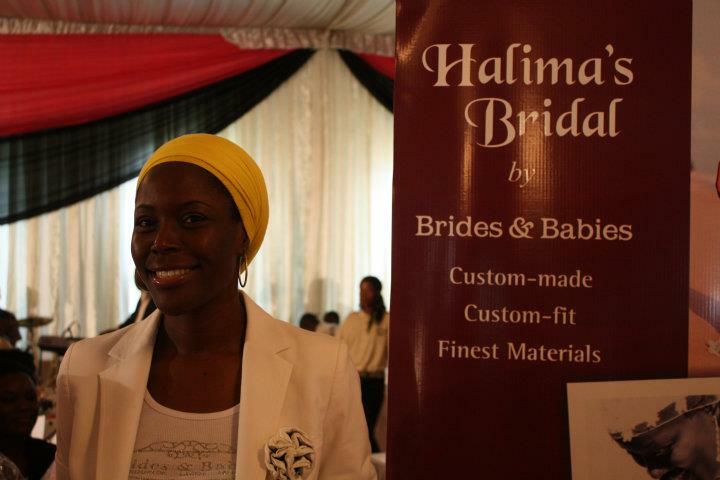 Halima is a well-accomplished wife, mother, trailblazer, and entrepreneur. 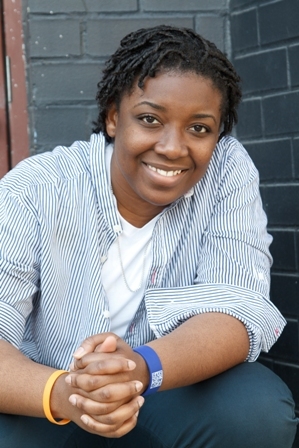 She has the unique distinction of being the youngest woman to graduate from the University of Houston with a Doctorate degree in Pharmacy. With an extremely supportive husband, Halima is determined to make her entrepreneurial experience work. Our interview with Halima takes place on a warm and busy Saturday afternoon. Customers are leaving and entering her store, some browsing and others shopping. Her well-trained staff handles the customers and this gives us the time needed to complete this interview. This interview is especially beneficial as it demonstrates the significant role that African women entrepreneurs play in hiring the jobless and helping to reduce the unemployment rate. What is Brides & Babies Inc., all about? The name Brides & Babies Inc., I believe is God sent. Everything about my business thus far, has fallen into place effortlessly. Brides & Babies Inc. is a one-stop shop for women as they experience important stages in their lives. From the big day (wedding) through pregnancy, and child-birth – Brides & Babies Inc. is the place to visit. I have always been fascinated with the bridal industry and I enjoy shopping for baby products, so I thought to myself, why not start a business that combines all of my interests. Most brides in Nigeria want to be mothers so they can kill two birds with one stone by coming to a store, which adequately captures the experience from wedding through pregnancy, and child-birth. We have a holistic view on the woman experience. I sell products like custom-made wedding dresses, brand name baby wears, American branded pediatric and women’s health products with free consultation by yours truly. What are four key things you have learned since starting your business? I have learned so much that I cannot begin to say how much I have grown. 1. Be Innovative! Be Patient! Be Consistent! Be Persistent! Brides & Babies Inc. opened a month ago and in developing the concept for the store, it was difficult explaining my vision to Abuja-based Nigerian architects. Sorry to say, but most people in Nigeria are not used to developing new ways of doing things. So when I had to develop the concept for the store, not only did I have to explain my vision, I spent lots of time handholding these various vendors throughout the process. It was very time-consuming, but I exercised patience and I am glad that everything worked out. Yes, finding the right architect to bring my vision to life was tough. People kept doing the wrong things, so I needed to be extremely patient, consistent, and persistent. Entrepreneurs in Nigeria should not be afraid to say NO! or push vendors to go beyond, so that you are not stuck with mediocre results but excellent work and end products. 2. Do not be afraid to ask questions. When looking for a space to rent, I asked around for a list of credible landlords to rent from. I spoke with friends, colleagues, and family members. Once I got a referral, I went directly to the landlord and negotiated for a good deal. 3. Speak to the right people. Network and get connected. It is important to be connected to the right people. 4. Have personal integrity – it goes a long way. My husband inspired me. He felt really bad that I had to leave a career that had spanned over seven (7) years to go with him on his move to Nigeria. The passion for what I do, the vision, and the dream that I had, to create a one-of-a-kind shopping experience with a western touch in Nigeria also inspired me. Lastly, the opportunity to create a solid financial future for my children and family. How many people have you hired so far? I don’t just have staff persons, I have properly trained staff members. I want my staff to portray my vision and render exquisite customer service to all of my clients, especially when I am not there. I want the right team selling my brand and I tell my staff not to judge anyone who comes into the store based on looks. I also tell them not to be partial towards a particular client because of who they are – everyone that comes in to my store matters. Having employees can help you to grow your business to the next level but having bad employees is the worst thing that can happen to a small business owner. I make an effort to serve as a mentor to my employees but business owners should not be afraid to let go of bad employees. Bad employees can make or break your business. Bad news gets around quickly – your reputation is everything. We have a plan to expand into various cities across Nigeria but currently, we are focused on establishing a solid brand that provides excellent customer service. I sell unique products at a good price. We provide value and excellent customer service. Things in Abuja are very expensive so I make sure that my clients have the highest quality products for the best price. I go to great lengths to make all of my customers happy and it doesn’t matter who they are. Nigerian women do not need to go abroad to shop for a wedding dress, they can come to my store. I handpick all the items and everything is personally approved. We encourage women to think ahead especially on how to accommodate children into their lives. You need to come to my store to experience what I am talking about. We certainly look forward to having you. We provide healthcare consultation and sell American branded healthcare products – we are a holistic retail store. Real estate in Nigeria is very expensive so we bootstrapped to start this business. My husband and I saved our money. My advice to those looking to start a business, is to plan ahead, save up, or perhaps get a loan with stable rates and have a top-notch marketing strategy. How do you balance all of your roles? It is quite difficult trying to balance and manage my roles as a mother, wife, employer, friend, and mentor. However, l love and enjoy what I do – so I try to be the best wife, mother, and entrepreneur that I can be with an appreciation towards serving God – It feels like my purpose. I take a break when I need to and make sure that it is a relaxed work atmosphere for my workers and my customers. What issues do you face as a female entrepreneur? Security is a major issue. As you promote your business, more people will get to know your face and your name. So please pick a safe location and be willing to pay for good security. I am security conscious, sometimes I would like my staff and I to stay late at work but I cannot risk it. How can women entrepreneurs support each other? Yes! More women entrepreneurs need to support one another. Understanding that we all have something in common is very important. We need more conferences and round tables – we need to be connected. 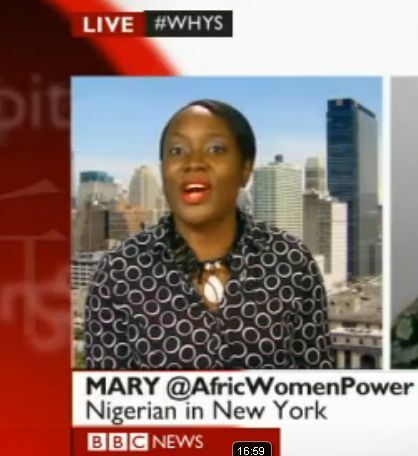 Mary speaks on Nigeria – which way forward ? The African Women Power (AWP) Network sat down with Princess Jenkins, Owner and Chief Fashion Director of the Brownstone Woman Clothing Boutique in Harlem, New York. It was an absolute pleasure to speak with Princess. She is a warm and extremely knowledgeable person. Princess shared many powerful stories and wonderful insight, which we would like to share with you. I have always wanted to start my own business and what inspires me I think, is what inspires most entrepreneurs – the willingness to depend on your own talent to make a way for yourself in the universe, the desire for freedom, and a way to create your own source of income. Entrepreneurship for me is believing that the talent God has given you, is adequate to provide you with everything that you will need to be successful in your work. My work in fashion is my passion. I enjoy working with and helping women to understand their own personal beauty, and create their own sense of style. I strongly believe that we do that well at the Brownstone. What are the key things that you have learned since starting your business? I have learned that people will appreciate your work if you are at your best. I have also learned that it is okay to fail. You cannot be afraid to fail – the more risks you take, the better. Our goal is to make sure that every amazing woman who comes to my store has a wonderful experience. My company targets women who want to look like the queens that they are. I also focus on image consulting. Overall, it is my goal to make sure that all of my customers are happy and satisfied. I really do enjoy working for myself hence, my reputation is everything. What advice do you have for women looking to start their business? I will tell women to invest in their appearance, especially if you are a start-up entrepreneur. When you first start, nobody knows you and nobody cares unless you have a presence that makes people stop long enough to hear you talk – then they will get to know you. Image is very important and you should build one as you move. Make sure that you are not stuck in time with your image. Stop and take care of yourself no matter how budget restricted you are. Get your nails, hair, and makeup done. It is the whole package. Also, have a power suit – even if it is only one. Build on a wardrobe, find a signature style that is comfortable to you, and always be a woman. Do not be afraid to be a girl. Use your girl power to your advantage, allow yourself to explore different styles, and be sure that you are true to yourself in your exploration. There is so much power in femininity, you cannot be a mock version of that. What sorts of challenges do you face? · Meeting payroll – I need to make sure that there is enough money to go around as I am responsible to my employees. · Making my customers happy – I need to always make sure that I have the right merchandise at my stores. · Lastly, making life happen – I am a wife, I am a mother, I am a sister, I am a sibling, and I am a child. Despite being a successful businesswoman, I have to fulfill and juggle all of these roles. My wonderful husband is extremely supportive and my daughter understands. I am grateful to my family and my support system. What are your plans for your business ? (My) immediate plan is to open a storefront in Brooklyn. My long-term goal is to continue to grow and expand the Brownstone Woman brand across the U.S. Another long-term goal is to travel across the world teaching everything that I have learned in my entrepreneurial journey to women and young people in the developing world. How can women continue to support each other? Women have to create their own support clubs and networks and these groups need to be inclusive. Men have created these clubs and that is how they climb up the ladder. Also, we need to learn how to function and connect with people outside of our networks and comfort zone because people who don’t look like you also want to be helpful. This summer, my daughter opens a lemonade stand called Lou Lou’s Lemonade Stand – named after her grandmother. It is important that young girls start their entrepreneurial journey at a young age. It teaches them to be financially responsible – the earlier, the better. Princess is my mentor and dear friend. I have shopped at The Brownstone Woman several times and I can personally vouch for the phenomenal shopping experience – words cannot describe. I recommend her store. The African Women Power (AWP) Network sat down with the Chief Executive Officer of MUI|PR, Ijeoma Genevieve Mbamalu. We asked her a series of insightful questions that we would like to share with you. Our aim is to inspire upcoming and existing women business owners as they move along in their entrepreneurial journey. What inspired you to start your company ? Three things inspired me to start my business. First – the need to be re-connected with the Nigerian culture. I had been away from Nigeria for a long time and could no longer speak my tribal language, Igbo. Starting this business was my way to re-connect with my culture and my roots. Second – the need to survive. I lost my father at a young age and as the first-born of my family, I had the responsibility of being a provider. Starting my business gave me a stable source of income during this difficult time. Lastly – my company fills a need. MUI | PR serves as a platform to celebrate and showcase African products, goods, and services in a positive way. What is the goal of your business ? Our goal is to get African business owners publicity, connect them to the right press channels, and serve as an information highway. My company is about good publicity for African businesses. How did you come up with the name of your business ? The name of my company is French. My mother speaks the language and I wanted the name of my company to be inclusive of French-speaking Africans. I am also working on re-branding MUI | PR by giving it an identity face-lift. Thus, in the new year, the company will be touted publicly as MUI-The PR Company. Very soon, we will unveil our new website. What is your competitive advantage ? My ability to offer PR solutions and results for my clients – I am able to leverage and pull together resources in the entertainment, music, and fashion arenas. How did you finance your business ? Bootstrapping – as we grow and expand, we will seek other forms of financing. What advice do you have for people looking to start their own business ? You can not be afraid to fail. You learn more from your failures. Just go for it! The journey will not be easy but it is certainly worth it. Who is your target market ? U.S based African businesses in the fashion and music industry – they include photographers, clothing designers, music artists, and DJs. Where do you see your company five years from now ? I see MUI | PR going global by expanding our reach to include all Africans in the diaspora. I also look forward to working with high-end magazines. MUI | PR will continue to promote African brands and serve as the PR group that represents the best interest of African businesses.